The One Planet Life demonstrates a path for everyone towards a way of life in which we don’t act as if we had more than one planet Earth. The difference between this approach and others is that it uses ecological footprint analysis to help to determine how effective our efforts are. Much of the book is a manual – with examples – on how to live the 'good life' and supply over 65% of your livelihood from your land with mostly positive impacts upon the environment. An essay arguing that our attitude to planning, land and development needs to change to enable truly sustainable development. Guidelines on finding land, finance, and creating a personal plan for one planet living. Detailed guides on: sustainable building, supplying your own food,　generating renewable energy,　reducing carbon emissions from travel,　land management, water supply and waste treatment. 20 exemplary examples at all scales – from micro-businesses to suburbs – followed by Jane Davidson’s Afterword. 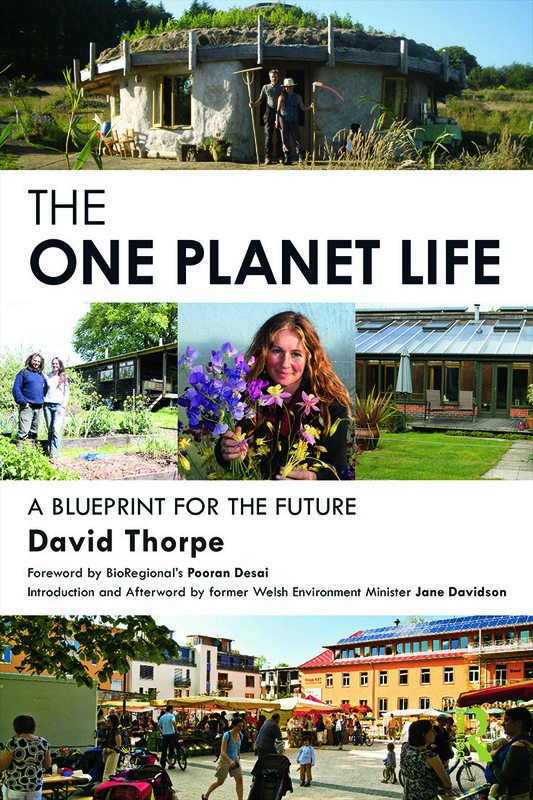 The book will interest anyone seeking to find out how a sustainable lifestyle can be achieved. It is also key reading for rural and built environment practitioners and policy makers keen to support low impact initiatives, and for students studying aspects of planning, geography, governance, sustainability and renewable energy. We have only one planet!